SFO Magazine Ranked "Commodity Options" in the Top 10 Investment and Trading Books of 2009!! 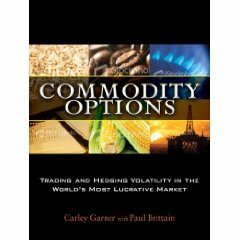 DeCarley Trading is honored that "Commodity Options" written by Carley Garner was ranked in the top 10 of 2009 by SFO Magazine. We have been truly lucky to have such great support from SFO Magazine, FT Press, TradersLibrary.com, Stocks & Commodities Magazine, friends, family and colleagues. Thanks everybody!